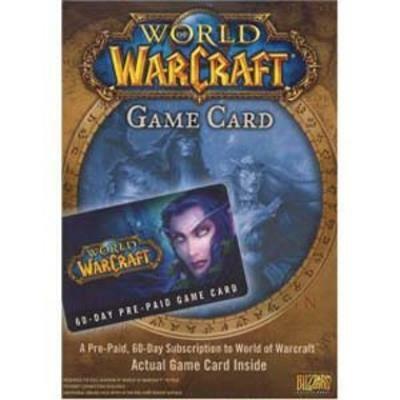 World of Warcraft Prepaid Timecard PC This item cannot be shipped to APO/FPO addresses. Please accept our apologies. 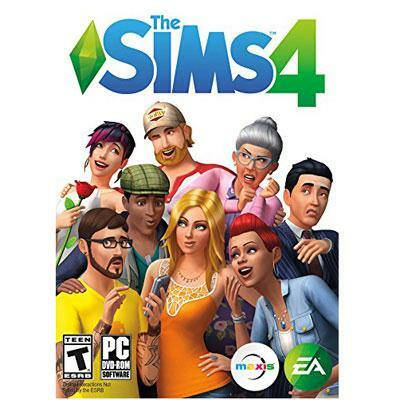 The Sims 4 Limited Edition for PC is the highly anticipated life simulation game that lets you play with life like never before. Create new Sims with intelligence and emotion whose every action is informed and affected by their interactions and emotional states. 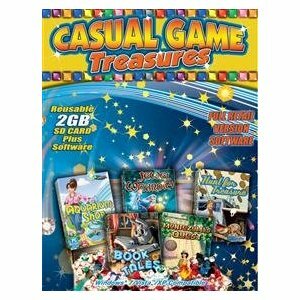 Experience all new intuitive and fun creative tools. Sculpt your Sims in Create A Sim and construct unique homes with the tactile room-based Build Mode. Control the mind body and heart of your Sims with dynamic emotion-rich gameplay and bring your stories to life. This item cannot be shipped to APO/FPO addresses. Please accept our apologies. Star Wars Battlefront II Standard PCWIN US PG FRONTLINE.Rush through waves of enemies on Starkiller Base with the power of your lightsaber in your hands. Storm through the jungle canopy of a hidden Rebel base on Yavin 4 with your fellow troopers dispensing firepower from AT-STs. Line up your X-wing squadron for an attack on a mammoth First Order Star Destroyer in space. Or rise as a new Star Wars hero Iden an elite Imperial special forces soldier and discover an emotional and gripping single-player story spanning thirty years. This item cannot be shipped to APO/FPO addresses. Please accept our apologies. World of Warcraft Legion Standard Edition PC. The great enemy of Azeroth is back and soon the kingdoms of the Horde and the Alliance will be consumed in a storm of fel fire! This item cannot be shipped to APO/FPO addresses. Please accept our apologies. 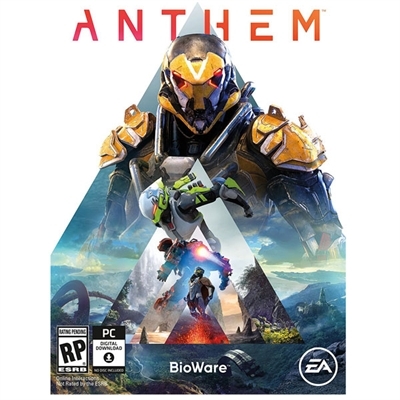 ANTHEM (CIAB - EN) PC This item cannot be shipped to APO/FPO addresses. Please accept our apologies. 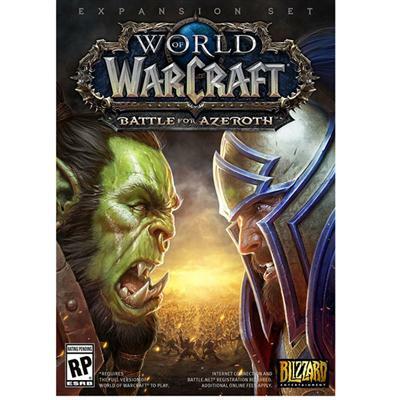 World of Warcraft Battle For Azeroth PC This item cannot be shipped to APO/FPO addresses. Please accept our apologies. 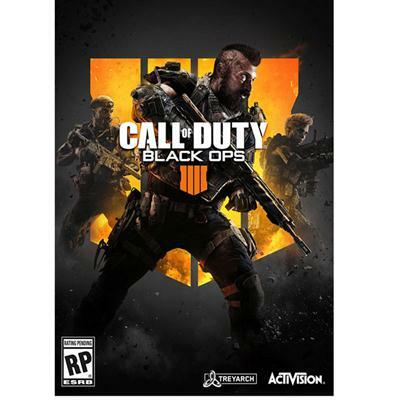 Call of Duty: Black Ops 4 - PC This item cannot be shipped to APO/FPO addresses. Please accept our apologies. 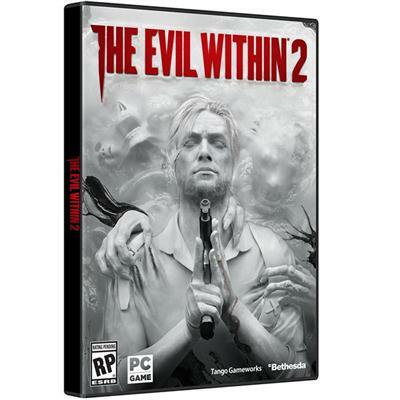 The Evil Within 2 PC This item cannot be shipped to APO/FPO addresses. Please accept our apologies. 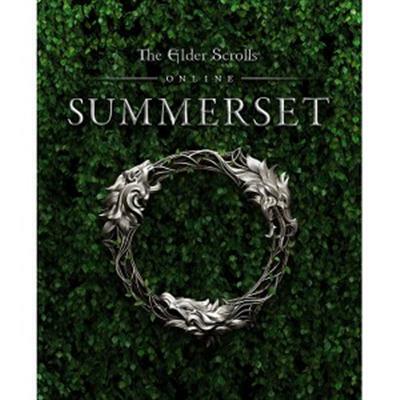 The Elder Scrolls Online: Summerset PC/Mac This item cannot be shipped to APO/FPO addresses. Please accept our apologies. 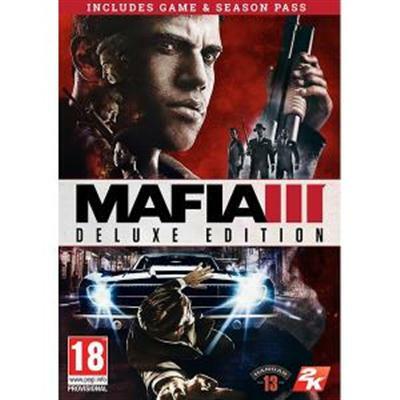 Mafia III Deluxe Edition PC. 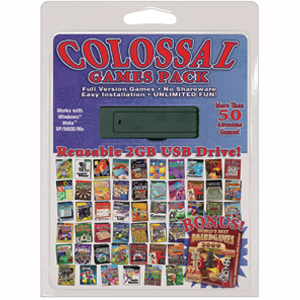 Includes Mafia III game and Season Pass. This item cannot be shipped to APO/FPO addresses. Please accept our apologies. 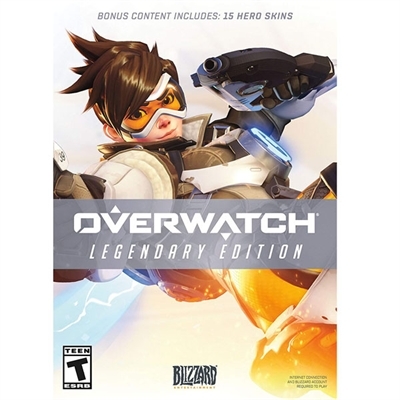 Overwatch Legendary Edition PC NA This item cannot be shipped to APO/FPO addresses. Please accept our apologies. The Elder Scrolls Online: Morrowind PC/Mac. The Elder Scrolls Online: Morrowind a "sweeping adventure" through the strange magical land of Vvardenfell. the fate of the world once again comes down to you: "Morrowind is in dire peril and it?s up to player heroes to help Vivec the legendary warrior-poet and Guardian of Vvardenfell solve the mystery of his mysterious illness regain his strength-and save the world from ultimate destruction." This item cannot be shipped to APO/FPO addresses. Please accept our apologies. The Witcher 3: Wild Hunt PC. The Witcher 3: Wild Hunt concludes the story of the witcher Geralt of Rivia the series' protagonist whose story to date has been covered in the previous versions. Continuing from The Witcher 2 the ones who sought to use Geralt are now gone. Geralt seeks to embark on a new and personal mission whilst the world order itself is coming to a change. 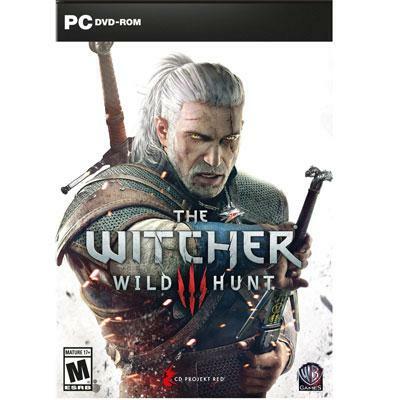 Geralt's new mission comes in dark times as the mysterious and otherworldly army known as the Wild Hunt invades the Northern Kingdoms leaving only blood soaked earth and fiery ruin in its wake; and it seems the Witcher is the key to stopping their cataclysmic rampage This item cannot be shipped to APO/FPO addresses. Please accept our apologies. Destiny 2 Forsaken The Legendary Collection PC This item cannot be shipped to APO/FPO addresses. Please accept our apologies. Wolfenstein: Youngblood PC. Wolfenstein Youngblood is a brand new co op experience from MachineGames the award winning studio that developed the critically acclaimed Wolfenstein II The New Colossus. Set in 1980 19 years after BJ Blazkowicz ignited the second American Revolution Wolfenstein Youngblood introduces the next Blazkowicz generation to the fight against the Nazis. 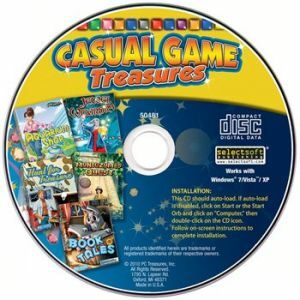 Play as one of BJs twin daughters Jess and Soph as you search for your missing father in Nazi occupied Paris. 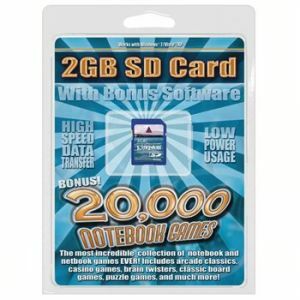 PC This item cannot be shipped to APO/FPO addresses. Please accept our apologies. Rage 2 PC. Dive headfirst into a dystopian world devoid of society law and order. RAGE 2 brings together two studio powerhouses Avalanche Studios masters of open world insanity and id Software creators of the first person shooter to deliver a carnival of carnage where you can go anywhere shoot anything and explode everything. An asteroid has annihilated 80% of the earths population and humanitys numbers are dwindling. Ruthless and bloodthirsty gangs roam the open roads and the tyrannical Authority seek to rule with an iron fist. As Walker the last Ranger of the wasteland and a threat to their power you have been robbed of your home and left for dead. Now you will have to rage for justice and freedom. With ludicrous vehicle combat super powered first person mayhem and an open world full of emergent madness you will tear across an unforgiving wasteland battling sadistic gangs to find the tools and tech needed to crush the oppressive rule of The Authority once and for all. 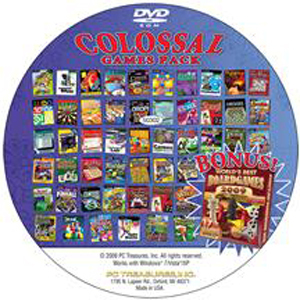 PC This item cannot be shipped to APO/FPO addresses. Please accept our apologies. Doom Eternal PC. Developed by id Software DOOM Eternal is the direct sequel to the award winning and best selling DOOM(2016). Experience the ultimate combination of speed and power with the next leap in push forward first person combat. As the DOOM Slayer return to take your vengeance against the forces of Hell. Set to an all new pulse pounding soundtrack composed by Mick Gordon fight across dimensions as you slay new and classic demons with powerful new weapons and abilities.1st Person Shooter PC This item cannot be shipped to APO/FPO addresses. Please accept our apologies. Rage 2 Deluxe Edition PC. Dive headfirst into a dystopian world devoid of society law and order. RAGE 2 brings together two studio powerhouses Avalanche Studios masters of open world insanity and id Software creators of the first person shooter to deliver a carnival of carnage where you can go anywhere shoot anything and explode everything. An asteroid has annihilated 80% of the earths population and humanity's numbers are dwindling. Ruthless and bloodthirsty gangs roam the open roads and the tyrannical Authority seek to rule with an iron fist. As Walker the last Ranger of the wasteland and a threat to their power you have been robbed of your home and left for dead. Now you will have to rage for justice and freedom. With ludicrous vehicle combat super powered first person mayhem and an open world full of emergent madness you will tear across an unforgiving wasteland battling sadistic gangs to find the tools and tech needed to crush the oppressive rule of The Authority once and for all. 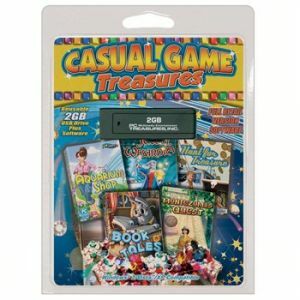 PC This item cannot be shipped to APO/FPO addresses. Please accept our apologies. 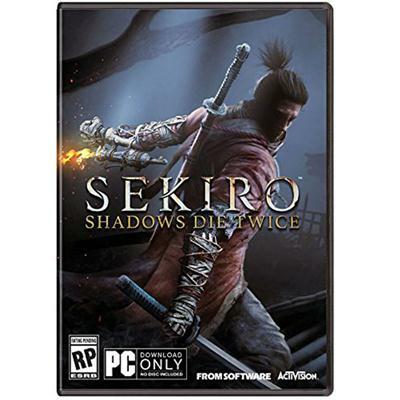 Sekiro: Shadows Die Twice PC. In Sekiro: Shadows Die Twice you are the "one-armed wolf" a disgraced and disfigured warrior rescued from the brink of death. Bound to protect a young lord who is the descendant of an ancient bloodline you become the target of many vicious enemies including the dangerous Ashina clan. When the young lord is captured nothing will stop you on a perilous quest to regain your honor not even death itself. This item cannot be shipped to APO/FPO addresses. Please accept our apologies.